You're a creator. We're all co-creators when we collaborate and use cloud, data, email, mobile, search, and social media practices and technologies. Open Community: Creatorbase attracts people interested in creating value for their own businesses and to share ideas and insights with others. Co-Creation: Creatorbase organizes people to focus their expertise, passion, and thought leadership on key initiatives. 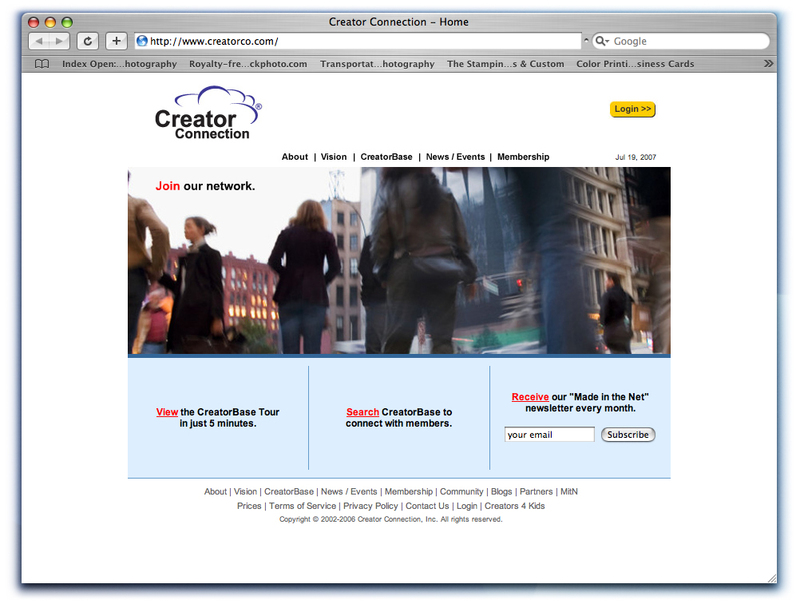 In 2002, the original "CreatorBase" was developed and launched by Erick Mott as a Web 2.0 application. It was the engine for Creator Connection, an 'open innovation' network. With the growth of communication technologies and Erick's desire to simplify, the new Creatorbase was later released as a blog and open community. While at Forrester Research, Charlene Li and Josh Bernoff published a book about a social media phenomenon known as the "groundswell." The book, Groundswell, includes case studies and tools including Forrester's Social Technographics® profile – an approach that can help you understand social behaviors and preferences online. The group referenced in the book as "Creators" is actively blogging, posting video, creating and sharing ideas, and starting conversations that matter.